Dr. Sondreal is originally from Grand Forks and attended medical school at the University of North Dakota. Following medical school, he pursued a family practice residency program from which he graduated in 1991. He has been practicing primary care and urgent care medicine in Fargo for twenty-six years. Dr. Sondreal has a long track record of community service in North Dakota, is active in his church, has volunteered his medical skills in Africa and Nicaragua, and is well-known for his caring manner, compassionate nature, and strong patient advocacy. In addition to teaching premedical and medical students, Dr. Sondreal is currently involved in the training of physician assistants, nurse practitioners, pharmacy students at NDSU and athletic trainer students at Minnesota State University- Moorhead. 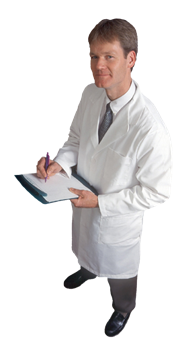 Dr. Sondreal is board certified in family medicine. His wife, Ellen, also active in community service, is a registered nurse. They have five children and live in north Fargo. � � � � � � � � � � � � � � � � � � � � � � � � � � � � � � � � � � � � � � �Kurt Kooyer, M.D. Dr. Kooyer was raised in Michigan. He graduated from Calvin College, earned his medical degree in 1990 from Michigan State University's College of Human Medicine and then completed a four year residency program in Grand Rapids, serving his final year as Chief Resident in Pediatrics. During this time he also received the Resident Teaching Award, three years in a row. 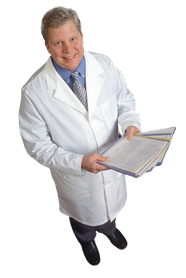 He is board certified in Internal Medicine as well as Pediatrics. Prior to coming to Fargo in 2002, Dr. Kooyer practiced broad primary care and emergency medicine in the Mississippi Delta. He currently serves on the board of directors of the Heartland Healthcare Network, the Red River Children’s Advocacy Center, and Pacific Island Ministries. He has served on the board of directors of the National Perinatal Association and the advisory board of Health Care America. He serves on the steering committee for the American Academy of Pediatric’s rural health special interest group and has been a member of the Alpha Omega Alpha honor medical society for twenty-seven years. He actively precepts students in the NDSU PharmD, MSU-M Athletic Training, and Concordia College premedical programs, as well as medical students, mid-level practitioners and physicians in various stages of training. Dr. Kooyer has lectured extensively, both nationally and internationally, on topics including medical ethics, changing values in modern medicine, challenges in serving the rural poor and our nation's medical liability crisis. His wife, a native of North Dakota, is a pediatrician. They have three children and reside in West Fargo.